Clockmaking or “horology” is a timeless art form, encompassing not just a love of craft and history, but a genuine passion for people and the precious memories their heirlooms represent. 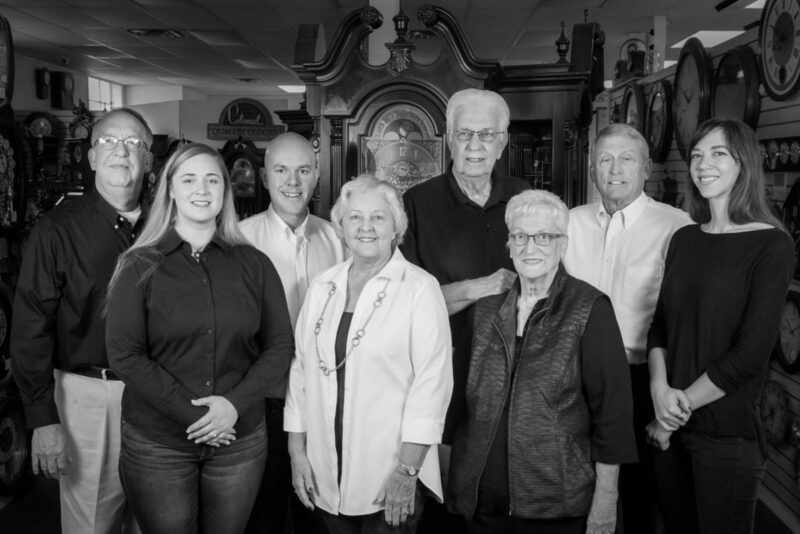 In 1987, Harley and Mary Hunter set out with this idea to open Grandfather’s Clock Gallery and Clinic. Today, their legacy of passion and craftsmanship is carried on by a new generation. We invite you explore our expansive gallery collection, home to more than 400 unique and wonderful clocks, or bring in your own heirloom for regular maintenance or repair by the finest clockmakers in Oklahoma. Clockmaking is about so much more than gears and springs; it’s about history, heritage, and memories shared with those we love. Whether your antique clock has stopped working or is simply in need of a basic tune-up, we treat each piece as if it is our own. Our highly-trained “horologists” are equipped to service a wide variety of clocks and mechanical problems, and we even provide house calls and specialized moving services for larger floor clocks.